The Teaching Expert Awards are institution-led awards which recognise expert teachers who are models for excellence in teaching, and whose knowledge about learning impact is strong and evidence-based. The awards showcase and strengthen excellence in higher education and ensure that teaching is valued at a national level. Teaching experts are nominated by their institutions and all nominations are reviewed by an international panel, who make the final selection. 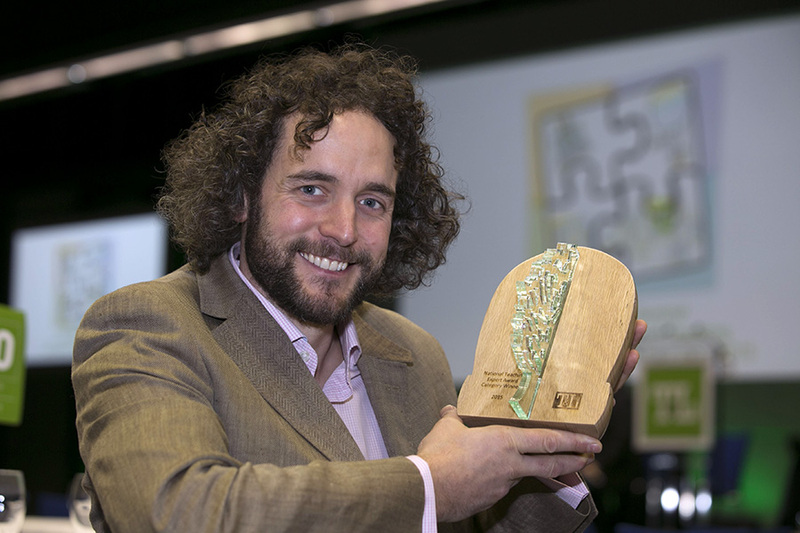 The Teaching Expert Awards were first presented in 2015. Trained in nursing and midwifery under the apprenticeship model, and following nearly two decades of patient care, Anne Drummond commenced her academic journey in the field of Occupational Safety and Health (OSH). In 1995, following a part-time Diploma in OSH, she moved to an administrative role, as the key driver in development of the UCD OSH Education Programme, and has initiated and consolidated growth, curriculum development, and consolidation of progression pathways, over the last two decades. While working full-time, personal academic milestones included: achievement of an MSc in OSH (1998), a Certificate in Adult Education (2000), and a PhD in (OSH) Education (2005) – all part-time; entry to and progression through the academic ranks as College Lecturer (2001), Senior Lecturer (2009) and Associate Professor (2015) in OSH; holding School Head / Associate Dean of Teaching and Learning (T&L) roles (2005-2013); and winning a College Teaching award (2009) and a NAIRTL award nomination (2009). Anne particularly developed and evaluated the multi-disciplinary and blended learning components of UCD’s OSH programmes and has shared her experience and findings through national and international T&L conference publications. Since 1995 she has overseen the education of over 7,500 graduates of UCD’s OSH programmes (Certificate, Diploma, BSc, Graduate Diploma and MSc). Anne’s (College Knowledge) suite of supports, were developed to facilitate the transition from work into college, for OSH students, who comprise part-time mature industry-based working adults, taking on new responsibilities and/or moving to a new career, and include second-opportunity students, and graduates and professionals returning to learning. Colm Kelleher is a graduate of the Irish Military College, NUIG and DCU, and has been working in Galway-Mayo Institute of Technology since 2004 where he teaches a range of modules in HRM and Management Studies. GMIT has traditionally placed emphasis on preparing students for employment and Colm deploys teaching, learning and assessment approaches which reflect that transition. Prior to his academic career Colm served as a commissioned officer with the Irish Army including periods of service with the United Nations in Lebanon and East Timor. Reflective practice is central to Colm’s approach to teaching. He subscribes to the belief that ‘better practice takes practice’ and has completed over 20 staff development activities to date including a PG Cert in Teaching and Learning in Higher Education in 2008/09 – one of the first in GMIT to do so. He has acted as an external examiner in a number of colleges, taught abroad on Socrates staff mobility, and has delivered staff development activities for GMIT staff. These experiences have provided further opportunities to learn from others, reflect, improve, and share his own practices. He has participated in and chaired a number of Quality Assurance panels at the request of HETAC/QQI including new programme accreditation panels and programmatic review panels. Colm has a particular interest in how groups collectively self-evaluate and is examining this issue further as part of a PhD in Higher Education: Research, Evaluation and Enhancement he is currently completing with the University of Lancaster. He is a Chartered Fellow of the Chartered Institute of Personnel and Development. Dr. Elaine Doyle lectures in taxation in the Kemmy Business School, University of Limerick, Ireland. After completing a BA in Law and Accounting (UL) and a Masters in Accounting (UCD), she trained and qualified as a chartered accountant and a chartered tax advisor. She worked in tax with PwC (Dublin) and Ernst & Young (Limerick) before joining the UL faculty to teach accounting in 2002. She was awarded a PhD in moral reasoning in tax by the University of Sheffield (2010). She designed and was the inaugural course director for the Masters of Taxation programme, unique in Ireland, and reputable for the level of professional tax exemptions it offers graduates. She was awarded the University of Limerick’s Teaching Excellence award in 2010 and again in 2015 and was part of the team that won the 2013 national Jennifer Burke Award for teaching innovation. She and a colleague have recently been shortlisted for the international Wharton-QS Stars Reimagine Education Awards 2015 (winners announced next December). She has served as chair of the business school’s research ethics committee (2010-2013) and as its director of AACSB accreditation (2014/15). Her research interests include research ethics, ethical reasoning, ethics education and innovation in higher level teaching and learning. She has published in these areas in journals such as ‘Journal of Business Ethics’, ‘Innovations in Education and Teaching International’ and ‘Interactive Learning Environments’, she co-edited “Innovative Business School Teaching: Engaging the Millennial Generation” (Routledge 2013), and has secured regular research funding to support her scholarly activities. Dr Karen Doyle graduated with B.Sc. (Hons) reading Pharmacology from UCD in 1989, and with a PhD in Neuroscience from Trinity College, Dublin in 1994. Dr Karen Doyle is a Lecturer in Physiology, and Vice Dean for Graduate Studies in the College of Medicine, Nursing and Health Sciences, in NUI, Galway, where Karen has worked since 2000. Prior to that, Karen was a Lecturer in Physiology and Pharmacology in the University for Hertfordshire, UK, from 1993 – 2000. Dr Karen Doyle research interests are in the area of Neuronal stress and Neuroprotection, and is the founder of the Galway Neuroscience Centre. Dr Karen Doyle also holds a great interest in teaching and curriculum development. Karen has very broad experience of teaching in Higher Education, and has taught most physiological systems over the years, most prominently focusing on my specialist area, Neurophysiology.Dr Karen Doyle was awarded a Postgraduate Certificate in Teaching and Learning in Higher Education from NUI, Galway in 2014 and a Presidents Award for Teaching Excellence in NUI, Galway in 2015. Dr Karen Doyle teaching philosophy is to provide students with the most important facts, but not overwhelm them with excessive detail; to tell them stories to put theory in context thereby promoting understanding of the concepts; and to pass on her enthusiasm about her subject to the next generation. Dr Michel Dugon is a former language teacher whose dream to become a zoologist turned into reality! For several years, Michel taught French in South East Asia. In 2005, Michel turned his interest for venomous organisms into a profession by taking over an animal park in Malaysia. The following year, Michel moved to Bangor (Wales) to complete a Masters of Ecology. Dr Michel Dugon came to the NUI Galway Discipline of Zoology in 2008 as a PhD candidate. After graduation in 2011, Michel remained involved in support teaching. Michel is currently an adjunct lecturer in Zoology and the recipient of an Irish Research Council postdoctoral fellowship. As an evolutionary biologist, Michel is involved in the delivery of modules on arthropod and vertebrate biology and practical zoology classes. Michel also supervises final year undergraduate Zoology research projects. Michel has a very hands-on approach to zoology: with Michel, students can expect to spend time in the field and to learn at the contact of live animals! Dr Michel Dugon recently completed a Postgraduate Certification in Higher Education delivered by the NUI Galway Centre for Excellence in Learning and Teaching and is the recipient of the 2014/2015 NUI Galway President’s Award for Excellence in Teaching. In addition to my academic duties, Dr Michel Dugon is heavily involved in science outreach at the local and national levels. Michel is the instigator and the director of the NUI Galway-based science outreach initiative Eco Explorers, Michel is the host of an educational TV show on RTE (Bug Hunters) and regularly acts as an animal consultant for international TV / film productions. Asst. Prof. Sheila Ryder graduated from Trinity College Dublin with a B.Sc. (Pharm.) in 1990. After spending some years in community pharmacy, she returned to Trinity to undertake postgraduate research and subsequently joined the academic staff as a lecturer in pharmacy practice. Sheila’s early research focused on learning styles and her strong interest in pedagogy has influenced many subsequent research projects, including investigations of pharmacy staff training needs and optimisation of patients’ knowledge about their medicines. She is passionate about continuing professional development: She established and co-ordinates Trinity’s distance learning M.Sc. in Community Pharmacy, and since 2006 she has been a member of the organising committee for the All Ireland Pharmacy Conference which promotes and disseminates best pharmacy practice and peer to peer learning. Sheila has a deep interest in technology-enhanced learning – in particular simulation of professional activities in the online environment, opportunities for collaborative learning, and use of reflective eportfolios to guide continuing professional development. She makes extensive use of online tools in her teaching at both undergraduate and postgraduate level, and is a member of Trinity’s Online Education Advisory Group. She has been nominated by the Irish Schools of Pharmacy to the Council of the Pharmaceutical Society of Ireland, the pharmacy regulator, and also sits on its Professional Development and Learning Committee. Sheila was awarded a Provost’s Teaching Award in 2015, having been nominated by undergraduate students for her innovative teaching methods: a ‘flipped classroom’ approach combining online activities with interactive classroom sessions, self-evaluation opportunities and personalised feedback. Marie is a Lecturer in Marketing at Waterford Institute of Technology (WIT) and has taught on a range of programmes within the School of Business over the last 20 years. In 2015, she was the recipient of the WIT Teaching Excellence Award, which recognises, encourages and rewards sustained excellence in teaching at WIT. Her student-centred teaching approach is characterised by innovation in pedagogy. Marie has pioneered the use of innovative problem-based ‘live’ projects in the classroom. These projects involve collaborating with industry to develop a project brief that mirrors real-world business interactions. In the past, student groups have worked with Enterprise Rent-a-Car, Glanbia and the Jameson Graduate Programme to create innovative digital advertising campaigns for these clients. These projects have been recognised for their innovative approach to student learning and have won a number of teaching and student engagement awards nationally. Marie was responsible for the introduction of the WIT School of Business Mentoring Programme in 2011 and acts as Programme Manager. This programme facilitates the mentoring of final year students by senior managers from industry. It allows students to learn from the professional experiences of a mentor and eases students’ transition from college to employment. Marie has published a number of articles in academic journals and has authored a number of teaching case studies, which have been published in leading European marketing textbooks. In addition, she works as a subject matter expert with McGraw Hill on developing print and online learning materials for their Connect and Learnsmart learning platforms. David Wraith had his first experience of teaching giving small group tutorials in Cambridge, and his first lecturing opportunities came at the University of Notre Dame, Indiana, while studying for a PhD. After graduating in 1995 he worked for two years as a lecturer in the School of Mathematics in TCD where he had his first taste of teaching very large groups as well as evening courses for mature students. He moved to Maynooth University in 1997 and was made senior lecturer in the Department of Mathematics and Statistics in 2006. David conducts research in the area of Differential Geometry and his work focuses on the interaction between curvature and topology. Over his 18 years of working in Maynooth University he has taught 21 different modules (18 undergraduate and 3 postgraduate) in all years of study and in all mathematics programmes. Each year he likes to teach courses for large non-specialist groups as well as smaller groups who have chosen to take a degree in Mathematics. David is particularly interested in the way in which people think when engaging with mathematical problems, the differences between expert and non-expert behaviour, and the new demands placed on students’ cognitive skills at major transition points. He is currently involved in a research project to study the role of metacognition in mathematical thinking across a range of undergraduate and postgraduate groups, and has developed a module on problem-solving for mathematics teachers as part of the MSc in Mathematics for Education programme. Ciaran O’Sullivan is a mathematics lecturer based in IT Tallaght’s Department of Mechanical Engineering. He holds a M.Sc. in Mathematical Science (UCD), Higher Diploma in Education (TCD) and Higher Diploma in Computational Methods and Numerical Software (UCD). Ciaran is a member of IT Tallaght’s research group, a ‘Centre of Expertise for Adult Numeracy/Mathematics Education’ which is a hub of National Centre for Excellence in Mathematics and Science Teaching and Learning (NCE-MSTL, now EPISTEM). His module in Preparatory Mathematics is a designed response to mitigate adult anxieties about mathematics. Ciaran is also on the national co-ordination committee for ‘Maths Eyes’ (http://www.haveyougotmathseyes.com/), and is currently leading the rollout of a ‘Green Maths’ resource pack to Irish schools. He also created the IT Tallaght Presidents Volunteer Programme where student tutors from IT Tallaght assist students from designated disadvantaged schools to aid the transition of students in those schools from second level to third level (http://www.it-tallaght.ie/pvp). Ciaran is active in the Maths Working Group of SEFI (European Society for Engineering Education (http://sefi.htw-aalen.de/) and is an Irish contact person for the group. He has published widely and speaks regularly to policy makers, researchers and educators at conferences and workshops in Europe and the United States. Dr Ciara O’Toole began teaching in 2004 as one of the founding members of a new BSc in Speech and Language Therapy at University College Cork. They developed an innovative, Problem-Based-Learning (PBL)-focused curriculum on communication disorders, and took on the challenge of integrating and coordinating other modules with the ‘problems’ in PBL. This method was very different from her own learning experiences and meant a shift in orientation from an expert-led, to a student-centred model of teaching and learning. However, using previous experience as a practicing speech and language therapist Ciara ensured that the ‘problems’ were based on real-life clinical experiences. Learning through PBL is also challenging for students transitioning from second-level education as it changes their approach to learning. Ciara’s research on the impact of the PBL curriculum on student learning has found that over time, students become significantly and progressively more active in their learning styles. Furthermore, PBL promotes deep thinking and self-directed learning, thereby facilitating the application of theoretical knowledge and transition to professional practice. In 2008, Dr Ciara O’Toole was part of a team that won a UCC President’s award for excellence in teaching for our curriculum. Subsequently, Ciara has trained colleagues across various disciplines on the implementation of this approach and recently wrote and published a textbook with a colleague that uses a PBL approach for the teaching of language development and impairment. The aim of the book is to help both students and teachers apply PBL methods to enhance student learning of communication development. Orla Murphy coordinates the newly established discipline of Digital Humanities at University College Cork Ireland. She researches and teaches in the Digital Arts and Humanities Program at UCC and in the national, inter-institutional DAH PhD program in Ireland. She was awarded an inaugural Fulbright TechImpact Scholar award for 2014-2015. Named a Digital Champion at UCC in 2013 she now chairs the E-Learning strategy group. She is vice-chair of the Algorithms group in the EU CoST Action Colour and Space in Cultural Heritage where she convenes the successful international Think Tank series for Early Career Investigators and was chair of the Information Visualisation working group in the NeDiMAH.eu initiative (the European network for digital methods in the arts and humanities). She is an Irish Management Committee member for the GenderSTE (Science Technology and the Environment) transdomain action. Director of the innovative BA in Digital Humanities and Information Technology at UCC a transdisciplinary BA program working with colleagues in Computer Science over a 4 year program cycle, and co coordinator of the MA in Digital Arts and Humanities Orla is also co-creator of the online MA program in Digital Cultures. She is interested in how culture is, was and will be communicated in all its forms including 3D representation, and in how we read, represent and share knowledge in new networked, virtual environments. As a team of professional librarians, the College Liaison Librarian Team are responsible for UCD Library’s Learning Support Strategy. Last academic year the team delivered 218 hours of lecture/workshops to approximately 6,300 students on academic programmes. While each of the team has developed expertise in specialist fields, the College Liaison Librarian Team strength is in working together as a team and learning from each other. The College Liaison Librarian Team have created a wide range of e-learning resources and have being developing our knowledge and expertise in this field. Other areas of interest include academic integrity (plagiarism, referencing), measurement & assessment, orientation, student retention, game based learning, systematic and literature reviews, learning spaces, problem and evidence based learning and social media. The College Liaison Librarian Team are committed to ongoing personal development and a number of the team have completed postgraduate qualifications in academic teaching and learning. The team like to share and collaborate as they feel this is a good way to improve own practice and to learn from others. Since 2012 the team have presented 33 papers/posters at conferences and being involved in the writing of 9 articles and book chapters. The College Liaison Librarian Team represent UCD Library and contribute to national strategy on groups such as the CONUL Teaching & Learning Sub Committee, the LAI Health Sciences Library’s Group and LIR HEAnet User Group for Libraries. At the moment the College Liaison Librarian Team are preparing for the 2016 LILAC conference, which they will be hosting in UCD in March. As the premier information literacy conference with a strong participation from international delegates, it is an event the College Liaison Librarian Team are looking forward to. Anne Marie Morrin is a lecturer in Visual Art Education in the Dept. of Arts Education and Physical Education in Mary Immaculate College. As a researcher and teacher she is interested in interdisciplinary approaches to visual art education; educational environments as pedagogy; reflective journals as a tool in the classroom, a/r/t/ography and other forms of art based research. Her art practice directly influences her practice as a teacher – and vice versa. Within this binary role, Anne Marie places the role of practice and enquiry central to the acquisition of knowledge and explores new technologies to provide and adapt unique teaching and learning experiences for all involved. Before taking up her current position as in Visual Art Education at MIC, Anne Marie worked in a variety of educational and cultural settings including, theatre, fashion industry, galleries, schools and community projects. The collection of experiences has afforded her the creative capacity and skills to approach her teaching and art practice in an inter-disciplinary manner. The most recent research projects Anne Marie instigated were highly engaging art installations that were conceptualised in collaboration with contemporary artists, pre-service students and primary school teachers and children. These projects include Art /Science participative urban intervention project entitled Particles or Waves? (City of Culture 2014), Visual notebooks for Hall of Mirrors (Farmleigh Gallery, Dublin and Limerick City Gallery of Art) and The Studio Classrooms (educational art and research project involving visual artist’s and primary school teachers and children who develop their art practice through online residencies. Transforming Education through Dialogue (TED) Project PLUS Network, and Visual Art Education, Dept. of Arts Education and Physical Education). Dr. Anne Dolan is a lecturer in primary geography with the Department of Learning, Society and Religious Education in Mary Immaculate College, Limerick. An enthusiastic educator Anne is passionate about primary geography and she is keen to share this passion with her students. She is particularly interested in creative approaches to geography, inter-disciplinary collaboration and the use of the arts in geographical explorations. As a researcher, Anne focuses on outdoor learning, geoliteracy, children’s concepts of place and creative approaches to geography. Her teaching is directly informed by her research and collaborative projects. She is one of the leading experts on the use of picturebooks for teaching social and justice issues. Her recently published book You, Me and Diversity: picturebooks for teaching development and intercultural education (Trentham Books and IOE Press, 2014) is a core text for student teachers studying development education. This book was shortlisted for the United Kingdom Literacy Association (UKLA) Academic Book Award 2015 and it received a Silver Award from the Geographical Association, Sheffield. Twice shortlisted for the Shannon Consortium Teaching Awards, Anne is a reflective practitioner constantly revising and reviewing practice. She has experience in several education settings, formal and non-formal, primary and higher level education, in Ireland and in a number of African countries including Kenya, Tanzania, Zambia, The Gambia and Lesotho. Anne is a lifelong learner and her experiences as a parent, a primary teacher, a mature student and an education enthusiast have shaped her philosophical and conceptual frameworks for teaching and learning. Conor Murphy is lecturer in Geography at Maynooth University and a senior researcher at the Irish Climate Analysis and Research Units. Conor’s teaching and research interests focus on climate change and particularly how vulnerable communities can successfully adapt to climate variability and change. Conor’s teaching is interdisciplinary and aimed at bridging the gap between human and physical geography and in connecting academic geography with important societal issues. He is a strong advocate of research-led teaching in helping engage students in the research process to enable deeper learning. At Maynooth Conor leads the MSc in Climate Change and since 2012 has been responsible for developing and delivering an international, joint Masters in Transformative Community Development (jointly awarded by Maynooth University and three African Universities (Malawi (x1) and Zambia (x2)). The latter brings together academics from across cultures and disciplines to carefully design and deliver a curriculum on issues of climate change, food security and development, anchored within specific communities in Africa. Delivery draws heavily on integrating pedagogies of transition, including blended, work-based and reflective learning, group work, peer-learning, community informed research and fieldwork. Anne Ryan is Professor of Adult and Community Education at the National University of Ireland Maynooth since 2005. Anne is particularly interested in utilising radical adult education pedagogies to empower the many communities worldwide who face critical challenges such as the devastating effects of climate change, violent conflict and severe economic and political disadvantage. These pedagogies promote social literacy by critiquing local personal experience within a global context where discourses of privilege, power and influence can be explored and where learners are well positioned to critically intervene in recreating their current and future reality. Anne’s educational work in countries that experience extreme poverty (such as Bangladesh and Central Africa), those that are war-torn (such as Afghanistan and Palestine), and her work in disadvantaged communities in Australia and Ireland all contribute to her desire to explore the potential of participative educational initiatives to promote greater equality. It has also caused her to question the appropriateness of approaches to knowledge and to development which appear to have an in-built preference to serve the needs of the most privileged and to require those who are most marginalised to shoulder extraordinarily heavy burdens. In 2011 Anne co-founded and continues to act as academic co-director of the Edward M Kennedy Institute for Conflict Intervention. Since 2012 Anne has acted as Principal Investigator of the Transformative Engagement Network, an Irish Aid / HEA funded project involving four partner universities in Ireland, Zambia and Malawi. Professor Martin Downes is an agricultural ecologist with a special interest in conditions such as drought, pests and diseases that limit plant productivity, particularly in the context of the world food supply. His primary Degree is in agricultural science and his higher Degrees are in plant pathology. He retired from faculty at Maynooth University in September 2006 and was appointed Emeritus there, at the Department of Biology. Since then, he follows his private interests in laboratory research and teaches courses in bioethics; he participates in work related to food systems in antiquity and, mainly through Irish Aid, he pursues his interest in adaptive responses to food security challenges in the more pre-industrial farming systems of the world. Currently, he works to develop educational programmes in Malawi and Zambia aimed at enabling local farming communities, policy-makers and scientists to develop cohesive adaptive responses to food shortage and climate change, through the Transformative Engagement Network (TEN). Maggie has worked as an educator for many years with non-traditional learners. Her work with marginalised groups includes learners from the homeless and disability sectors where she has taught courses designed to build the capacity of learners to live independently and to develop their personal and professional potentials. In the community sector, Maggie has devised and delivered courses in Women’s Studies, policy and gender awareness issues. These courses were designed in conjunction with Kildare and Wicklow Education and Training Board (KWETB) to enable learners to reflect on their lived experience and to critique and analyse this experience in the context of gender based theories. Maggie returned to education in 2007 as a mature student and completed a distance diploma in Community and Family studies at NUI Galway, followed by a full time BScSoC at Maynooth University which she completed in 2012. Since then Maggie has been working on two large scale projects at Maynooth University; the International Strategic Collaboration Programme funded by Science Foundation Ireland and the Transformative Engagement Network (TEN) funded by the Irish Aid/HEA Programme of Strategic Cooperation. Brian Coll is a lecturer in the School of Engineering & Design at the Institute of Technology, Sligo, where he currently teaches on the quality and engineering courses. He lectures primarily to online students and was instrumental in developing the first video podcasts of lectures for online students in Ireland. Brian working with Dr. John Donovan designed and delivered a Lean Sigma MOOC which attracted 2400 participants from over 45 countries and is now on its third running. Brian has played an innovative role in the enhancement of IT Sligo’s online learning offering which was central to the Institute receiving a Taoiseach’s Public Service Excellence Award in education in 2012 and selected as a finalist for Engineer’s Ireland education award in 2014. Brian is a frequent speaker at conferences both nationally and internationally on trends in online higher education particularly as it relates to the use of new technology to enhance the learner experience. Brian has over 20 years’ experience in quality management and has held senior positions at Director and VP level in multinational companies in Europe, USA and Mexico. He is also the holder of an SMT Vision Award (USA) for the work he undertook in the development of a time temperature label which solved a long standing process control problem in electronics manufacturing. Brian holds a US patent for his work in this area, a B. Eng. (Industrial) from University College Galway and an M.Sc. (Quality) from the University of Limerick, Ireland. Dr John Donovan is a lecturer in Quality Engineering and his research focus has been in the area of Industrial Statistics, process simulation, modeling & optimization. He has also conducting extensive research work for Nokia Mobile Phones in Finland on both reliability and on the simulation and use of step-stress testing as a means of accelerating the reliability demonstration process. In 2008, his research was adopted by the IEC (International Electrotechnical Commission) and published in an International Standard EN-62429 on Stress Testing for Early Failures in Unique Complex Systems. John has also been funded by the National Physical Laboratory in the UK to develop a universal Statistical Process Control (SPC) protocol for electron beam and Cobalt irradiation Facilities specifically for the medical device industry. In September 2003, the research findings were presented to the European Dosimetry panel. John has also received funding from Science Foundation Ireland up to 2009 as part of the Bell Labs Ireland CSET. This CSET involved collaboration among seven Universities and two Institutes of Technology. John has been a major contributor to the online learning suite of programmes at IT Sligo and conducted the first online live lecture in IT Sligo. John also worked for 10 years at Digital Equipment Corporation rising to the position of Design Assurance Manager in the Wide Area Networks design division. Dr Donovan has published in 29 refereed publications and has presented at International conferences across many continents. He has also supervised Research Masters and a PhD student. With a shared commitment to learning and teaching, the DkIT M.A. Learning and Teaching (MALT) team champion learner-centred teaching across the institute. Tasked with the challenge of teaching colleagues, they endeavour to model best practice. Their support empowers participants to apply innovative teaching approaches, reflect on, adapt and embed these in their practice as they continuously strive to improve their teaching and, more importantly, their students’ learning. Collaborating with the team, this community of teachers increasingly contributes to learning and teaching scholarship. Dr. Bernadette Brereton combines 26 years of teaching expertise in communication and social science with an international research profile in the areas of education, gender and citizenship. A board member of European Sociological Association (ESA) and the Sociology of Education Research Network, she is also secretary of teaching and learning network AISHE and a reviewer for AISHE-J. Gerry Gallagher is a teacher of Mathematics and Programming with 29 years’ experience. Currently DkIT’s e-Learning Co-ordinator, he works with staff and students to embed technology-enhanced learning. Nominated by DkIT in 2010 for the NAIRTL Award for Excellence in Teaching, his interests include the First Year Experience, Assessment and Feedback and the integration of digital technologies. Angela Short joined the School of Business in 1986 teaching undergraduate and Lifelong Learning programmes. Passionate about teaching, she is particularly interested in adult learning and the impact of teacher continuing professional development on classroom practice and learner outcomes. An early adopter, Angela uses technology to assist learners in their transition into college and beyond. The 2015 nominations for Teaching Awards were selected by an international panel of assessors that consisted of four leader/scholars from three different international contexts (UK, Australia, USA), one national expert in teaching and learning development and one student representative with strong experience in teaching and learning enhancement through partnership. In addition, seven of the Teaching Experts received a special commendation. These commended winners were identified according to categories that emerged from the content and excellence of the candidates’ submissions.